After visiting Val Biro I came back up through Woking the next day to visit Ken Hatherley. Ken started at PAN in the 1970’s and worked his way up to be Studio Manager in the 80’s We have communicated before but this was a chance to meet up in person and for me to see some of Ken’s bit and pieces. It turned out to be an expensive visit as I bought my Christmas present, the original artwork for a George Sharp cover, and a couple of original artworks for Piccolo titles off him. I have put together a page for Ken and added him to the Artists link at the top which now becomes Artist etc to give a wider scope for inclusion. 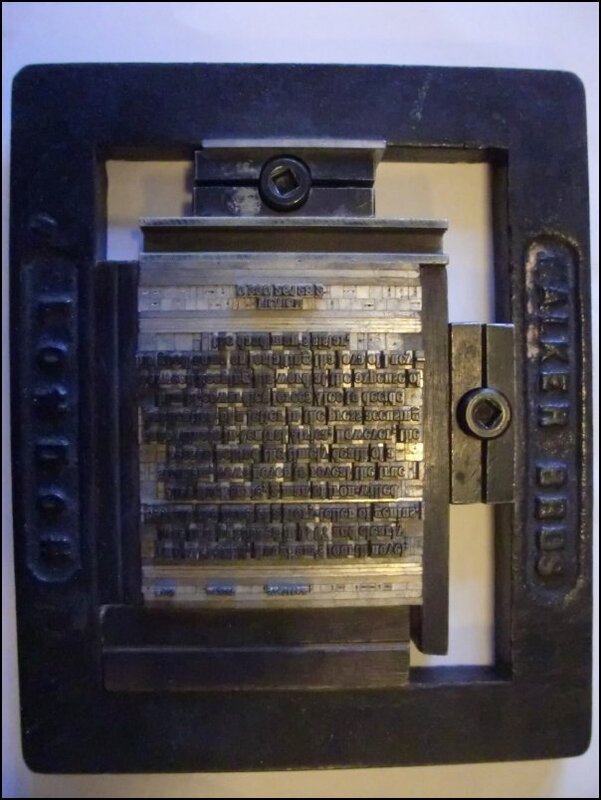 On my recent travels I picked up a printing block for the back cover of “The Explorer” by Somerset Maugham. These are not often found as they were usually recycled but the problem is which edition is it from? I have a second printing and although the ‘blurb’ is the same the layout isn’t. I have put together a page to show the PAN/Piccolo related artwork that Val produced over many years. The page can be found by clicking on the Artists etc link at the top of this blog or by choosing More and then Artists from the main website or click here. Wow! What a fine display of my work! So many of my Pan covers, and also my Pan Gumdrops! It is all put together beautifully, including the photos you took in my studio. Thank you for your interest, and your skill! 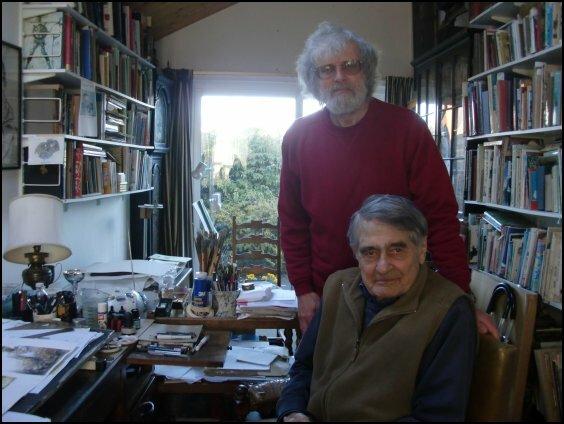 I was very pleased to be able to meet up with world famous book illustrator Val Biro last Sunday, it was a pleasure to spend the afternoon with him in his studio in West Sussex. I think he was pleasantly surprised to see the 20 or so PAN covers I took, all from the early 50’s that he had forgotten he had produced. He also signed all my Piccolo ‘Gumdrop’ books and I am putting a page together about him this week. If you want to find out more about Val, Cameron Cunningham runs the excellent official Val Biro website. 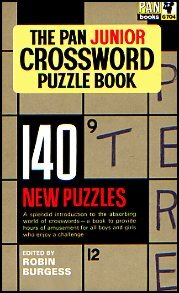 Fantastic news – I now have G704 ‘The PAN Junior Crossword Puzzle Book’ which reduces my wants list to 2. So if anyone out there has the ‘Third Junior Crossword Book’ or ‘The Boston Strangler’ but NOT the edition with Tony Curtis on the front please get in touch as I’m sure there is room for negotiation.